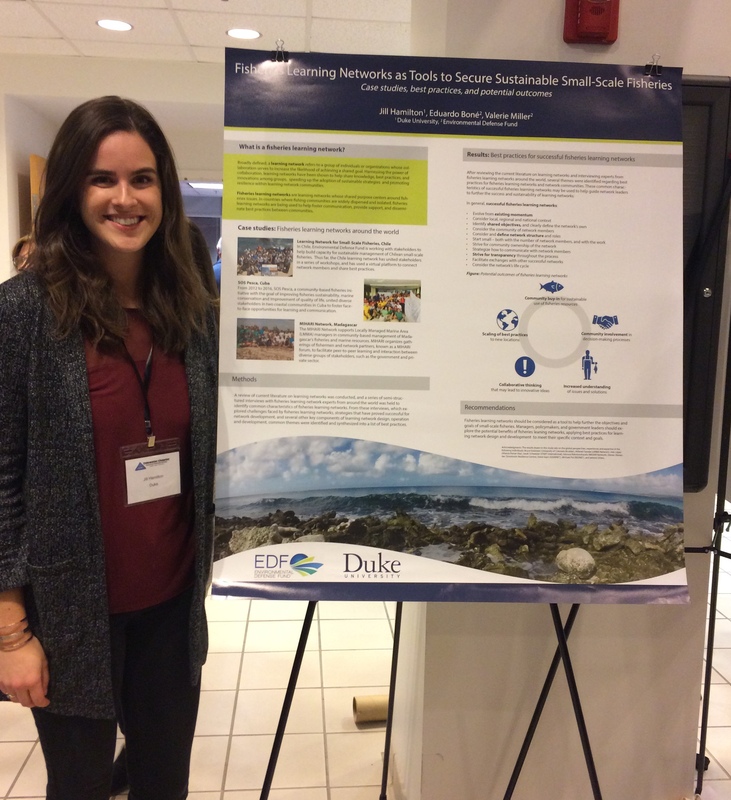 Last month, DukeFish, Duke’s graduate student chapter of the American Fisheries Society (AFS), volunteered and presented its research at the 2018 Annual AFS Tidewater meeting. Fisheries scientists from Maryland, Virginia and North Carolina gathered to discuss projects exploring fishery conservation and management, and presented research on coastal shark species, the effects of fishing on pilot whales, invasive catfish in the Chesapeake Bay, and much more. Over three days, students and professionals gave 3-minute lightning talks, full-length oral presentations and presented posters highlighting their work. I presented my research from my summer 2017 internship with Environmental Defense Fund, which explored the use of fisheries learning networks in countries around the world, including fishing communities in the northeastern United States. Broadly defined, a learning network refers to a group of individuals or organizations whose collaboration serves to increase the likelihood of achieving a shared goal. Harnessing the power of collaboration, learning networks have been shown to help share knowledge, best practices, and innovations among groups, speeding up the adoption of sustainable strategies and promoting resilience within learning network communities. Fisheries learning networks are learning networks whose shared purpose centers around fisheries issues. In locations where fishing communities are widely dispersed and isolated, fisheries learning networks are being used to help foster communication, provide support and disseminate best practices between communities. From a literature review and interviews with experts from fisheries learning networks around the world, it was apparent that learning networks can be used to effectively further the sustainability of fisheries. They can increase community buy-in for sustainable use of fisheries resources, strengthen community involvement in decision-making processes, increase stakeholders’ understanding of issues and solutions, lead to collaborative thinking and the generation of new ideas, and serve as an effective tool for scaling best-practices to other parts of a community, country, or region. 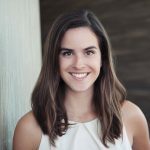 My research from this summer aims to guide environmental managers, policymakers and government leaders in applying best practices for fisheries learning network design and development, adapting collaborative strategies to local contexts to further the goals of fisheries around the world.